March 24, 2017  Utah's new DUI law will also lower the alcohol limit for people carrying guns. The strict law has been controversial in Utah, with hundreds of calls to the governor's office. Can Sobriety Tests Weed Out Drivers Who've Smoked Too Much Weed? January 25, 2017  Massachusetts' highest court is considering whether roadside sobriety tests for marijuana can be used as evidence of driving stoned in the same way they are used to determine if a driver is drunk. 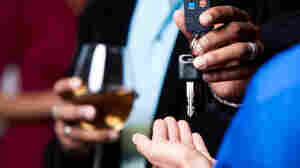 June 10, 2013  Breath tests after a college football game revealed that many designated drivers had been drinking. Researchers say their alcohol levels were lower, on average, than people who weren't going to drive. But the findings suggest more education is needed. April 17, 2013  The state of Missouri contended that because alcohol naturally dissipates in the bloodstream, each passing moment means valuable evidence is being lost, and so a warrant is never required for a blood draw. In an 8-to-1 vote, the Supreme Court disagreed.